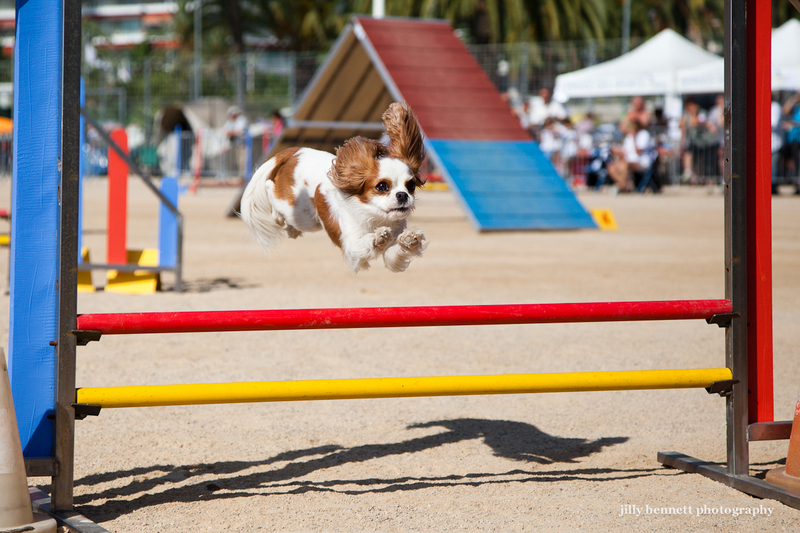 There was an Agility competition in Menton recently so expect lots of photos of dogs jumping over fences! Isn't this Cavalier amazing - I never knew this breed did agility. It is not the most athletic looking of jumps. He looks likely to whack down on top of the rungs! But a really energised image, Jilly. Quite wonderful. My goodness, what an amazing photo! I've never them in agility competitions either. He seems to be right at home! 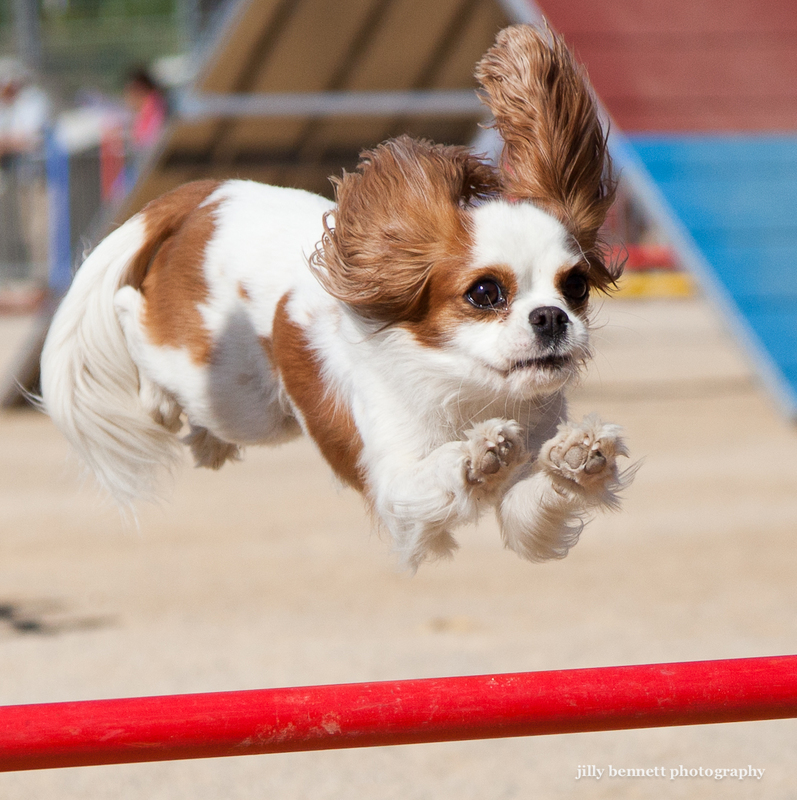 Though they look a little fragile, Cavaliers are pretty active and will do anything to please their people, so it doesn't surprise me to see a Cavalier in agility. He looks like he is intently watching his person! Magnifique photo, le chien n'est pas mal non plus ! 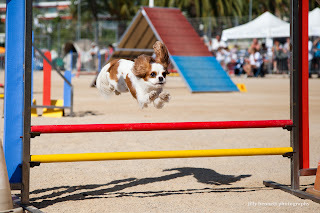 Looking forward to see more photos, as I compete in agility myself a lot. In Finland we have many breeds competing, from Chihuahua to Grand Danois! Pasi, I took a lot of photos and will show some of them. I learned a lot in terms of photography at this show - next year I'll take shots on the 'continuous' button which would have been easier. it was the best fun and the dogs were amazing. Glad to hear you compete in Finland.